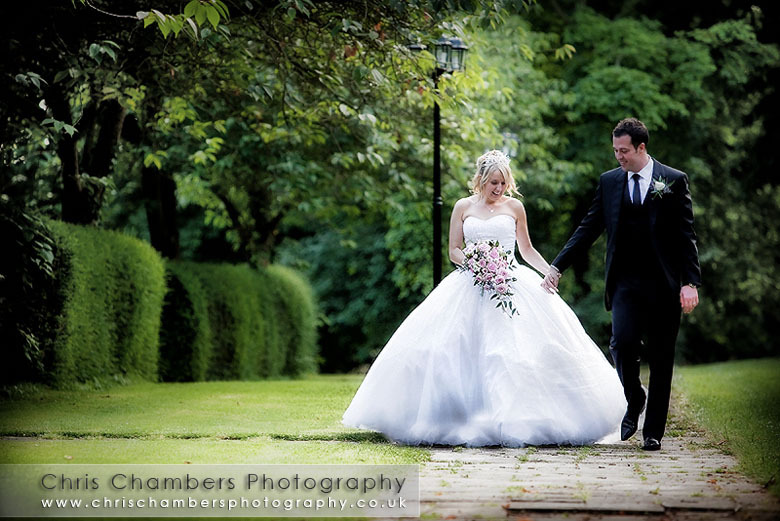 A wet one in store today for the wedding of Stacey and Chris at Hazlewood Castle. Following a civil ceremony and then blessing we were forced to stay indoors by the heavy sporadic rain. Thankfully Hazlewood Castle has some great backdrops and opportunities enabling us to fulfil the happy couples requirements and get some great photos of the pair before the wedding breakfast. Following speeches the sky was clearing and thankfully Stacey and Chris were keen to get outdoors for some photos under what was now blue sky! The skies stayed clear and allowed all the guests to enjoy the firework display just before ten thirty.